Changing lives, impacting on society through edu-tainment. We aim to positively influence people’s way of thinking and bring people together through edu-tainment events. The human mind and the way we think is so awesome that, if the individual’s way of thinking can be impacted and shifted in the right direction, they can do the impossible. We are all about Impacting the way of thinking of our young people in a way that will challenge them in daring to achieve greatness and become responsible people in society. We believe that every individual young person is unique and has great potential hidden in them. Nobody is worthless, irrespective of their background, race, current circumstance or what they have done. Everybody can become somebody if they can be given the necessary support. And we as organization want to see to where the necessary support is needed and to offer it as much as it may be required. We are a charitable, limited, programs and events management multimedia company. We aim to impact the paradigm of the individual young adult through edu-tainment, thereby impacting society at large. No support is too little. Your financial support, no matter how little it may be, would contribute to reaching and impacting the lives of young people in our community therefore creating a better future for generations yet to come. Making some time to volunteer with us will help contribute to the variety of activities and projects we have going on. 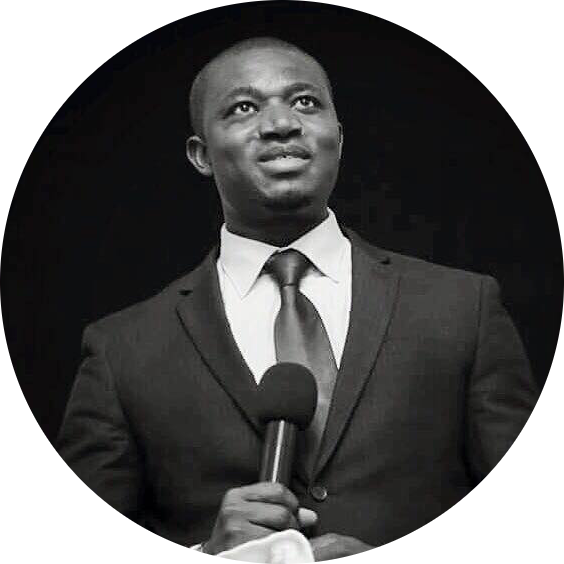 Kingsley R. Avagah is the head pastor of Agape life Chapel International. He is a bible teacher, conference speaker and a motivational speaker. He is also a helper using Counselling Skills. He loves helping people discover, maximise and utilise their potential to the full. Helping and seeing people live a fulfilled life is his greatest desire. God through him has raised and impacted leaders across the globe. His humility, servant hood and loving leadership style is just infectious. Be inspired as you follow him on Facebook.